E-mail contact@la-cotiniere.com phone +33 7 86 38 59 84. Near A11 and A38 : Locate on the map. Tel +33 7 86 38 59 84. Genuine bedrooms with private bathrooms in each. Walls made of tuffeau, the local stone, single/dual story : pick one and we will fulfill your expectations. Double or triple bedrooms, bedding 160 cm, wifi. Private parking lot. Welcome to the angevine countryside. 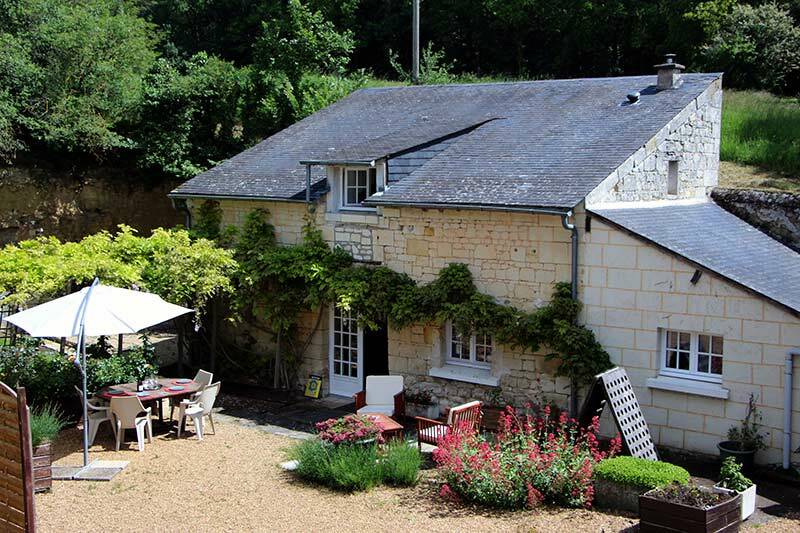 Located in a troglodyt site, le gite L'Orée des Fleurs rated 4* , welcomes you for a stayin a rural hamlet of Grézillé - Gennes Val de Loire between Angers and Saumur. 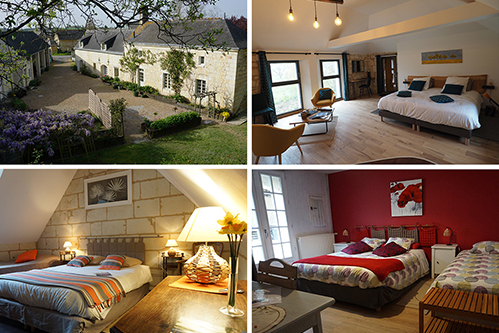 You will be in a house built of tuffeau (the local stone), renovated from the ground up in 2015. 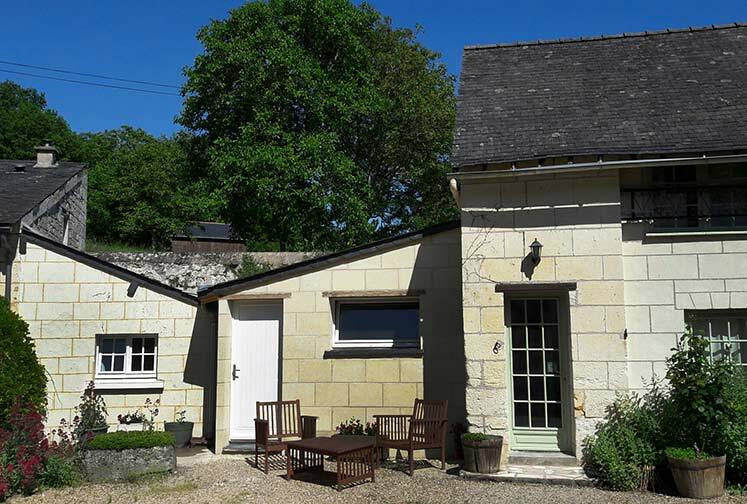 The cottage Vert Campagne renovated in 2017 offers you on the ground floor 1 kitchen, a hall lounge, bathroom with shower 80 x 120 cm, and a room upstairs with double bed 160 cm and TV. You can also take full advantage of outdoor spaces: living room, terrace etc ... Wifi, parking, bike loan on reservation. How about a quick ride in the air? 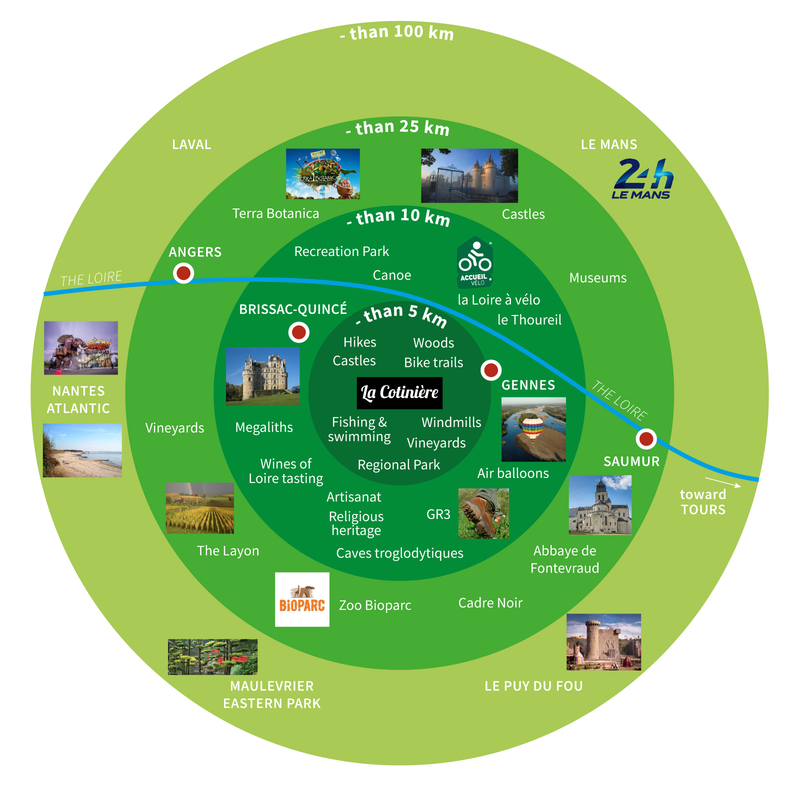 We are in between Angers and Saumur alongside the D761.